Intertwining art history, aesthetic theory, and Latin American studies, Aarnoud Rommens challenges contemporary Eurocentric revisions of the history of abstraction through this study of the Uruguayan artist Joaquín Torres-García. After studying and painting (for decades) in Europe, Torres-García returned in 1934 to his native home, Montevideo, with the dream of reawakening and revitalizing what he considered the true indigenous essence of Latin American art: "Abstract Spirit." Rommens rigorously analyses the paradoxes of the painter's aesthetic-philosophical doctrine of Constructive Universalism as it sought to adapt European geometric abstraction to the Americas. Whereas previous scholarship has dismissed Torres-García's theories as self-contradictory, Rommens seeks to recover their creative potential as well as their role in tracing the transatlantic routes of the avant-garde. Through the highly original method of reading Torres-García's artworks as a critique on the artist's own writings, Rommens reveals how Torres-García appropriates the colonial language of primitivism to construct the artificial image of "pure" pre-Columbian abstraction. 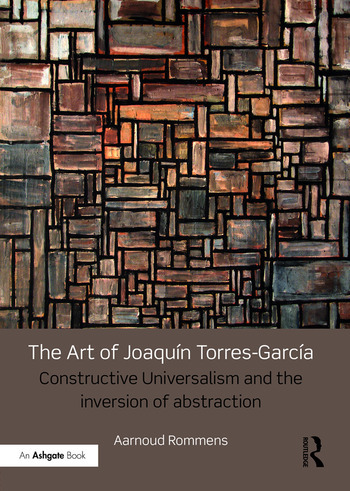 Torres-García thereby inverts the history of art: this book teases out the important lessons of this gesture and the implications for our understanding of abstraction today. Aarnoud Rommens is BeIPD-COFUND/Marie Curie Post-Doctoral Fellow at Faculté de Philosophie et Lettres, University of Liège, Belgium.